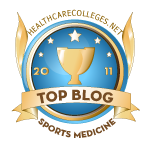 Natural Sports Medicine Blog: More Teens Die of Heat Stroke – When Will We Demand Better Education OF Our Kids Coaches? More Teens Die of Heat Stroke – When Will We Demand Better Education OF Our Kids Coaches? Well, it’s extremely sad to day it happened again. This past week two more teenagers died of heat stroke during summer football practice. In Columbia County, FL a 16 year old boy was found dead at a high school football camp this past Tuesday. Hours later, another 16-year old. Georgia high school football player died in an Atlanta hospital, a week after being admitted suffering what doctors believe was heat exhaustion. Since the young athlete died, it’s pretty safe to say it was heat stroke, not heat exhaustion. In either case, this is a tragedy that is happening all too often and a clear trend is emerging and it seems our children do not appear to be safe in the hands of high school coaches. After I decided that sports medicine was the direction I wanted my career to take, I started volunteering at local beach volleyball tournaments and triathlons. I had been putting in my time with more experienced sports medicine physicians for a couple of years when in the summer of 1994 I saw my first case of heat exhaustion. It was late in the day during the 1994 Bud Light Florida Beach Volleyball tournament on Ft. Lauderdale beach that we began to see them. This was an armature tournament and the players presented with very hot and red skin, not sweating after playing for hours and the muscles in their extremities (arms and legs) were fibrillating. We immediately administered fluids, cool towels and called 911 to transport to the local E.R. for I.V. fluids an evaluation. Luckily, no one died. This brings up a good point, this was an amateur tournament and they didn’t have the knowledge or experience to know much about heat exhaustion or heat stroke. Luckily we were there in the medical tents and were able to handle it. But what about your teenage son or daughter and their high school coach? How well trained is the high school coach and assistant coaches in the prevention of heat exhaustion? Does the coach know what to do to help prevent heat exhaustion of heat stroke? Do they know what the signs and symptoms are and could they recognize it before it becomes too late? Just remember, they’re coaching your child. All too often I’ve seen coaches use water as the bait to get their kids to push themselves to the max. They use water as a punishment and a reward and this is utterly stupid and puts your child at risk. Athletes should drink enough water to prevent thirst, not wait until their thirsty to start drinking. 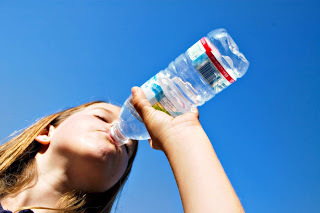 Parents and coaches should also know that dehydration reduces athletic performance. So if a coach is trying to get more out of the athlete, then drinking water and keeping hydrated is critical to top athletic performance. Studies show that athletes who lose as little as 2% of their body weight through sweating have a drop in blood volume which causes the heart to work hard in order to circulate the blood. A drop in blood volume can also lead to muscle cramping, dizziness, fatigue as well as heat exhaustion and heat stroke. 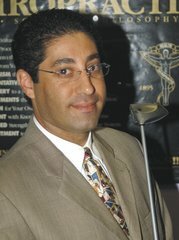 If there isn’t a sports medicine professional such as an athletic trainer, certified sports chiropractor or medical physician at the practices or games, then you need to make sure that your children’s coach knows the signs or heat exhaustion and stroke and knows how to properly coach your kids to prevent dehydration. Water is essential for life and no longer should coaches use water as a reward or punishment to get their athletes to push themselves longer and harder. If you are as concerned about this as I am, then take a few moments and read the 10 Ways To Prevent Heat Stroke In Student Athletes. Exercising during the hot summer can be very dangerous. Make sure your child's coaches have the proper training and take the proper precautions. Make sure the coach and your child knows how important it is hydrate themselves. Make sure they know you get better performance when properly hydrated and make sure they know the consequences for not hydrating. This isn't one of those issues to take lightly. This is life and death. It's easier to have a hard talk with the coach and threaten to pull your child from their program than to give a eulogy about your child. Sorry to be so harsh, but this isn't a time to mince words. Hearing about a coach using water as a punishment and reward is a very hard pill to swallow. I understand a coach wanting to push their athletes, but that can be downright deadly in the wrong circumstances. A coach is supposed to be responsible for their athletes. I have recently read so many stories of completely unecessary and senseless loss. As a mother of two children it breaks my heart. This sadness is heightened by the fact that there is an affordable product available on the market offered by Fox 40 that can prevent future losses and grief. Fox 40 developed the Heat Alert Mouthguard. This mouthguard changes color as the player's internal temperature reaches 102 degrees and fully changes color when their body temperature reaches 105 degrees. Saving kids' lives is as simple as taking the player off the field for a break and rehydration when their mouthguard changes color! Follow this link for additional information regarding these mouthguards right from the Fox 40 website. Please be sure to pass this information along...no more children need to be lost!! !